« Older: Primary School Football Tournament officially begins! 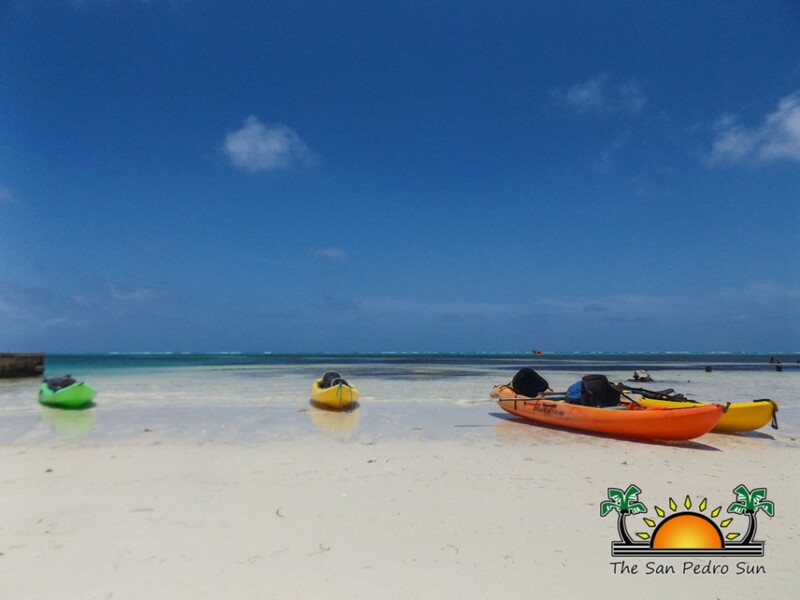 Newer: » 11th Annual Reef Week ends with a bang! The 11th Annual Northern Reef Week ended with a spectacular kayak race, which saw nine teams paddling around the island on Sunday, May 22nd. 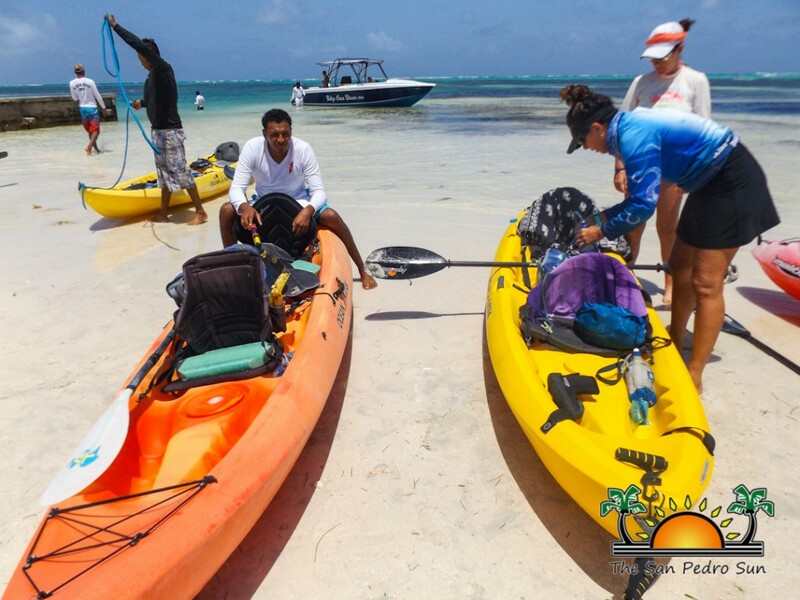 Junior and senior kayakers alike took to the channel heading south of Ambergris Caye on the leeward side, racing for their chance to claim the first place title, while bringing awareness to conservation of the barrier reef. 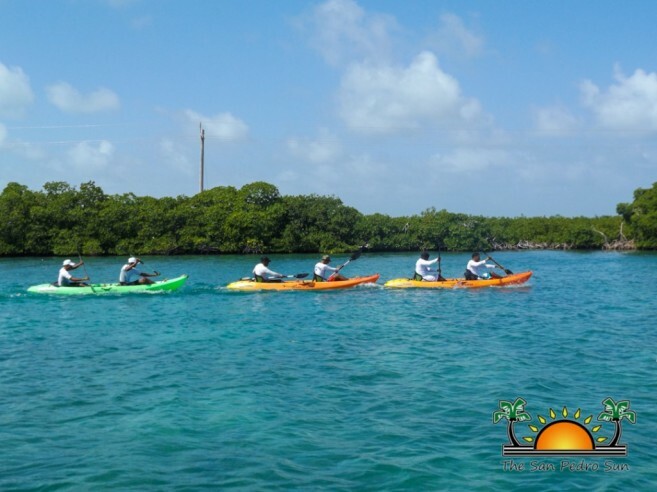 The race took kayakers along the back of the island, through thick mangrove wetlands and through a small channel that connects the lagoon with the sea all the way down the southern tip of Ambergris Caye. 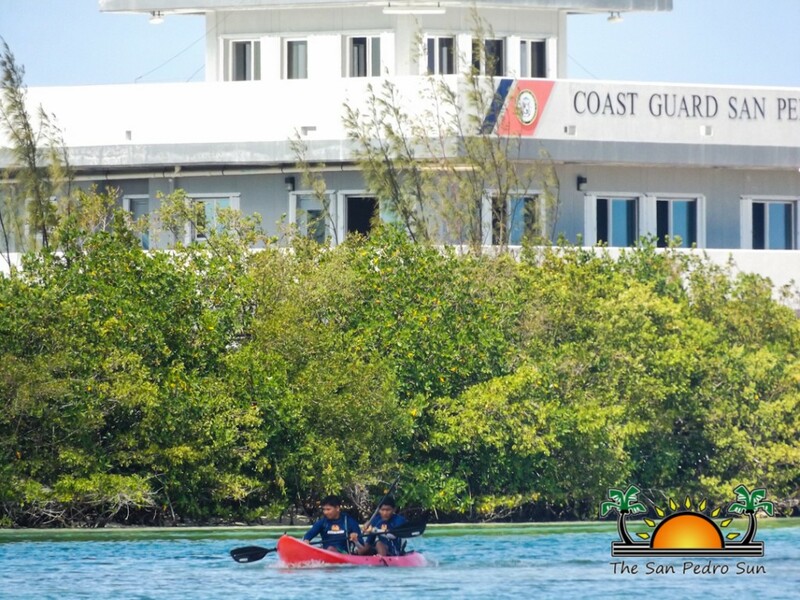 Upon entering the Caribbean Sea, the teams struggled as they paddled against the current along the island’s shoreline. 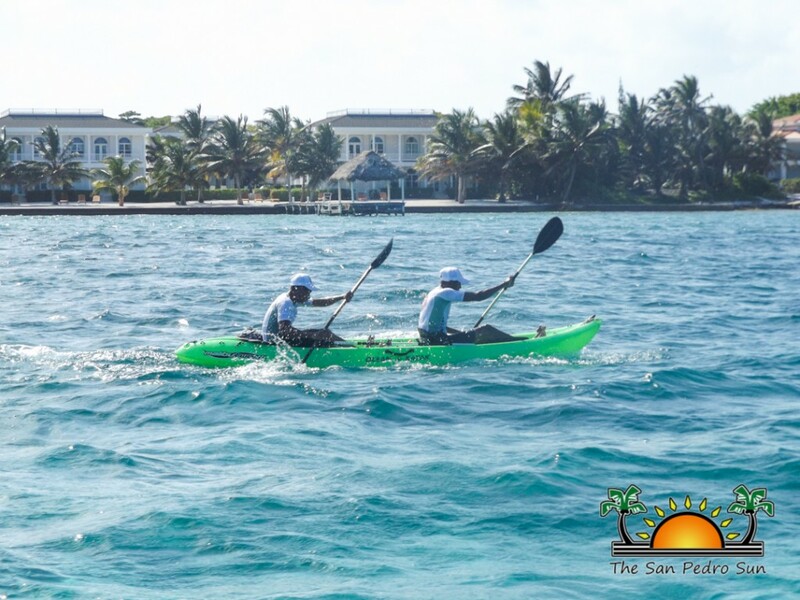 For most of the race, the leading teams stuck together saving energies for the last sprint to the finishing line. 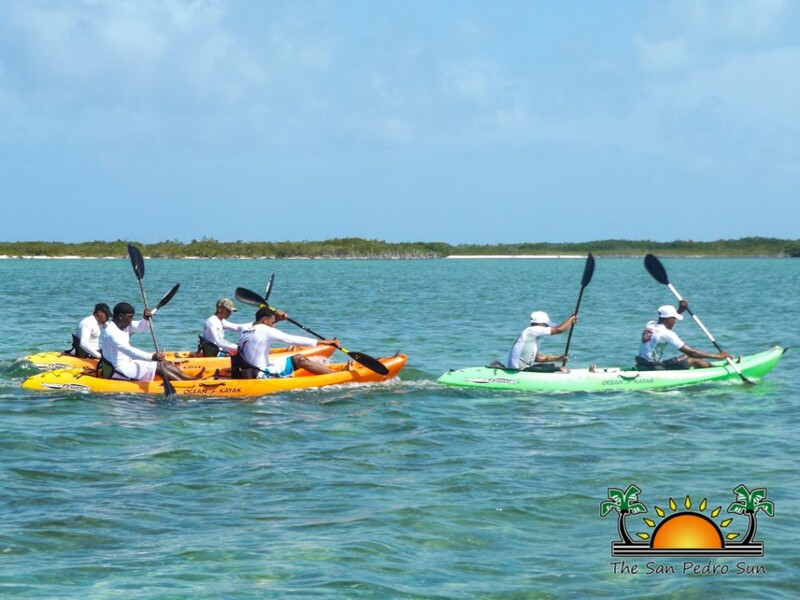 In the last minutes of the race, competitors began separating from each other as the finish line came into view in the horizon. In a fast sprint, Team Sea Monsters crossed the finish line to glory. Afterwards each winning team was given their respective prizes. In the Juniors category, second place went to Team Do It Boys, comprised of Joseph Pineda and Brayan Bradley, who received $100. First place went for Team Buff Kids, comprised of Kyron Vasquez and Brayan Averdado, who walked away with a cash prize of $100. 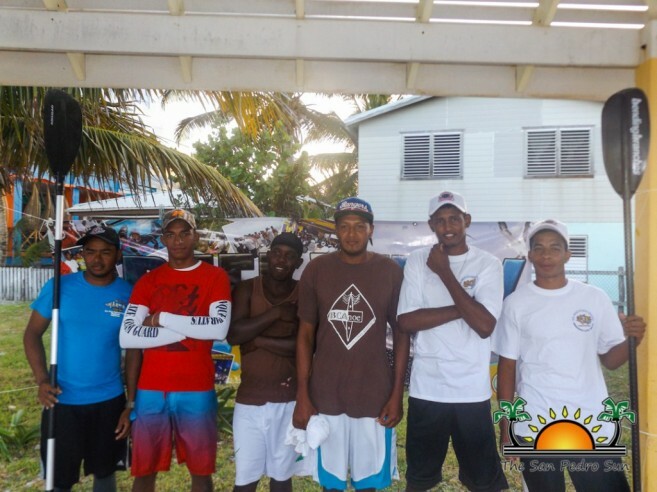 In the Seniors Category, third place went to Team Belize Pro Divers comprised of Jimmy Polonio and Byron Cruz, who received a cash prize of $150. 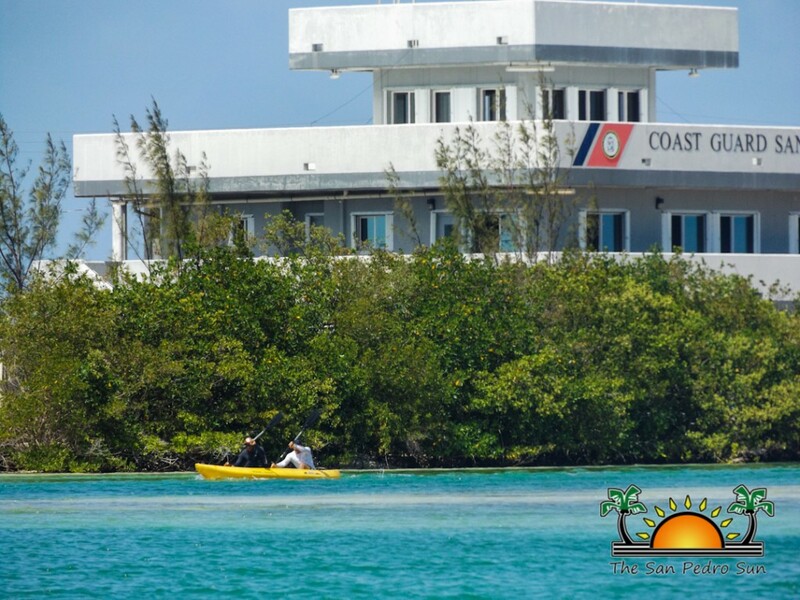 In second place was Brandon Lind and Daniel Gregorio from the Belize Coast Guard, who received a cash prize of $250. 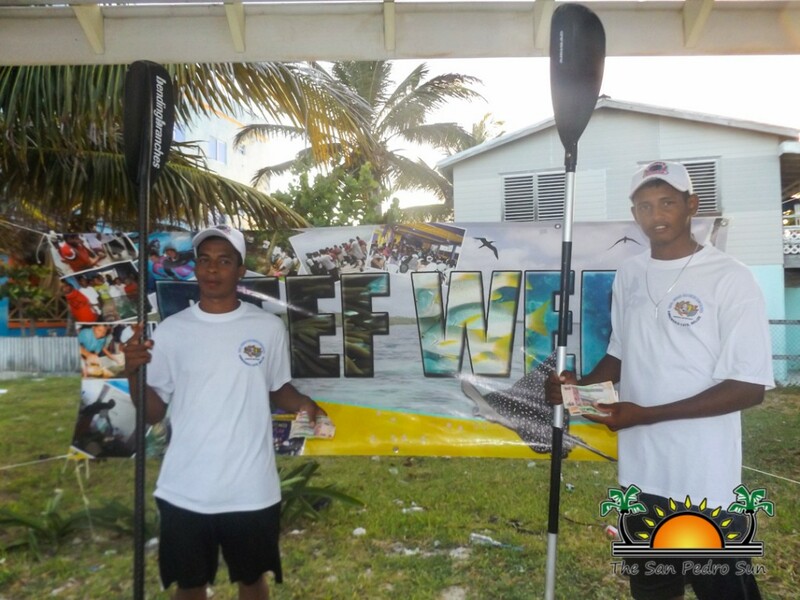 Team Sea Monsters, with membes Kenrick Daniels and Jesus Linarez, took the first place prize of $350. 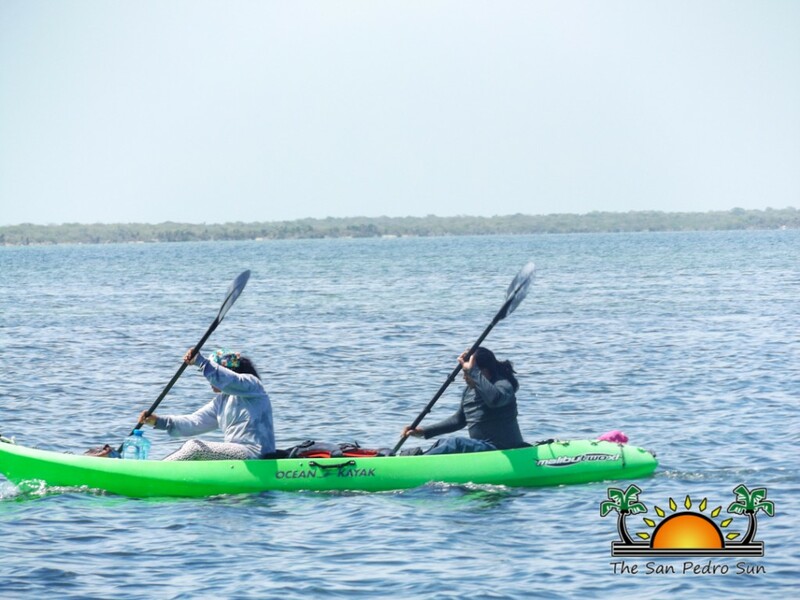 The only female team brave enough to take on the challenge was Team Shut up and Paddle comprised of Lara Goldman and Cindy Vigna. They were awarded a $100 bar tab at Carlo and Ernie’s Runway Bar. The highlight, however, was an incredible team that spread a message of willingness and perseverance. 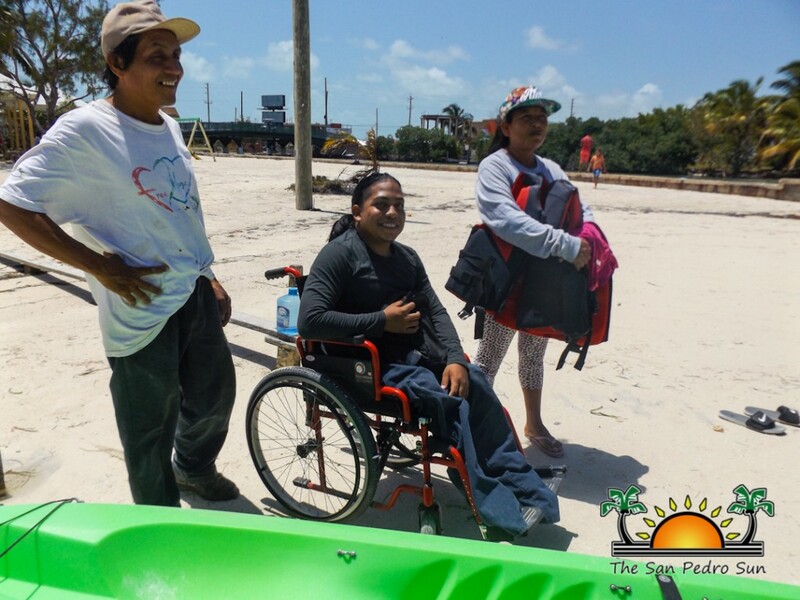 Amil Teck has spinal bifida and is bound to a wheelchair, but he nonetheless took on the challenge along with his mother. 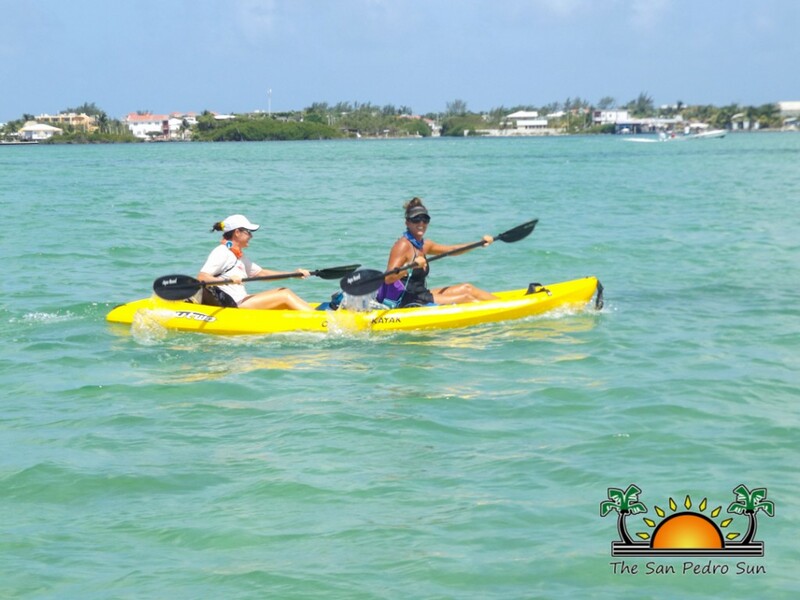 Despite trailing behind the other kayakers they served as a reminder that we don’t have to be overwhelmed by obstacles in life. 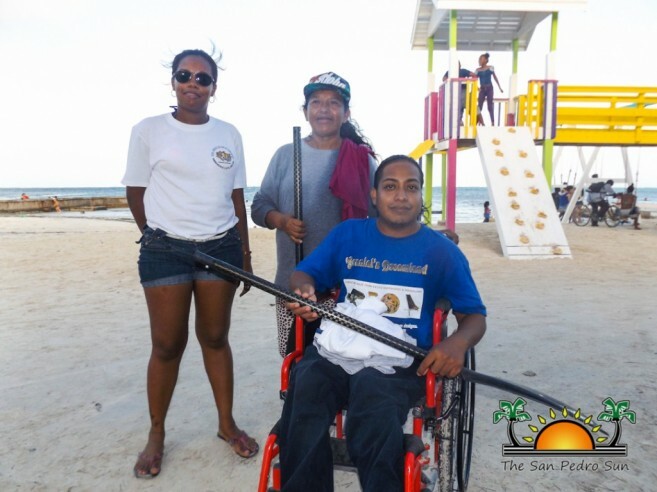 They received a cash prize of $100, and are ready to take on the challenge next year. Amil took the opportunity to remind everyone out there that, no disability is an excuse to stop you from accomplishing your goals. “If you really want it, you can do it,” he said. 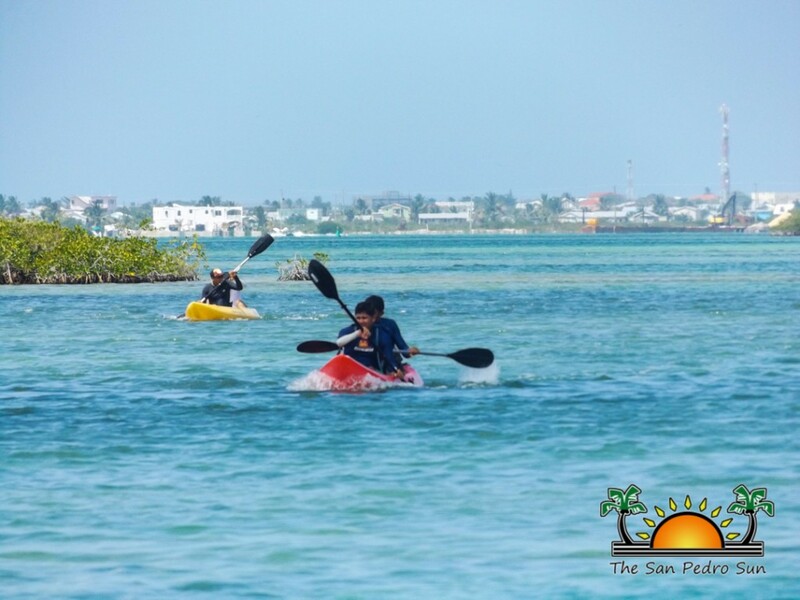 The San Pedro Sun congratulates all the kayakers for taking part in this year’s competition during the Reef Week. 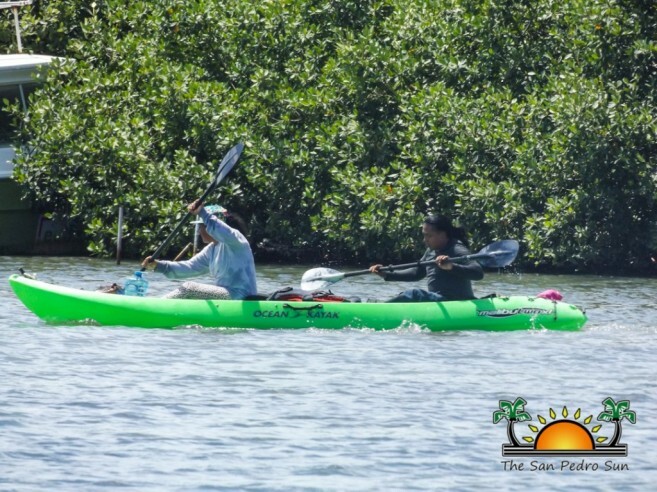 Special recognitions also go to Mariela Archeralso to the Hol Chan Marine Reserve and and Kent Gabourel of The San Pedro Town Council for their efforts during the race. Team Manchester United U-13 says Thank You!